The Fallas of Valencia are held between the 15th and 19th of March, and are the most popular feast of the city and the community, known not only in the rest of the country, but also abroad. 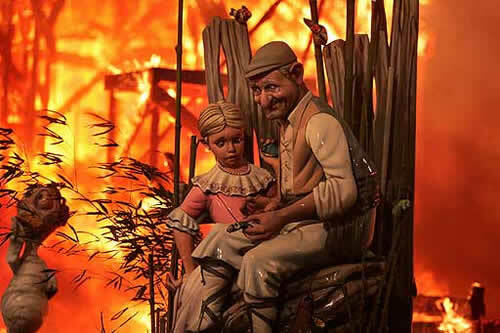 Each year in Valencia around seven hundred fallas are planted, that are object of worship and visit by the Valencians and visitors until the arrival of the “cremà”, the day 19, where these grandiose monuments disappear among the flames. The fire, “mascletás”, the castles of fireworks and popular participation make this festival one of the largest in the world, which is also celebrated in other parts of the province and of the community, such as Sagunto and Burriana, among many others.